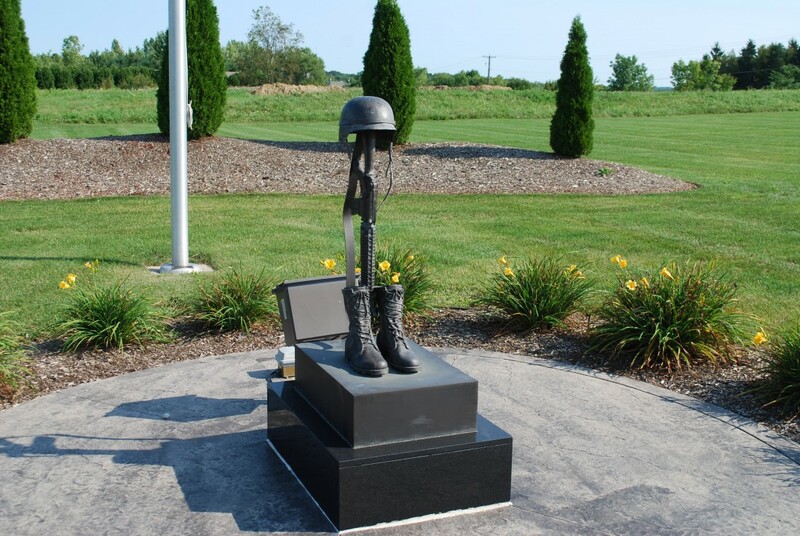 When a serviceman or woman is lost on the battlefield, it has become customary to arrange their fallen comrade’s Boots, Rifle, and Helmet, while surviving members of their squad gather around to remember and pray. This symbolic arrangement is called the Battlefield Cross. The Memorial is a life-size reproduction of this Battlefield Cross cast in high quality bronze, suitable for outdoor display. A memorial plaque is attached to the base with the service member’s name and unit information.